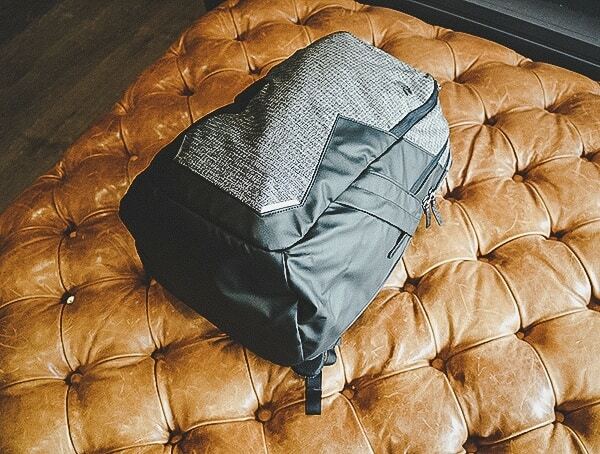 Backtrack twenty odd years ago, and you’ll discover Ethan Nyholm sliding his brand new laptop into a padded postal envelope before going out on a hike. 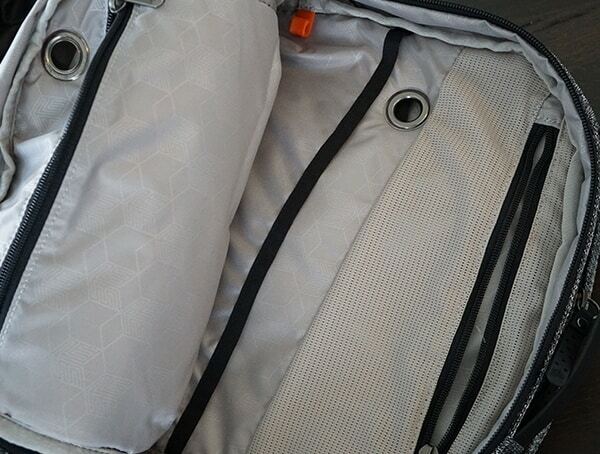 Before the booming tech rush, there wasn’t much to choose from when it came to protective accessories for your gear. 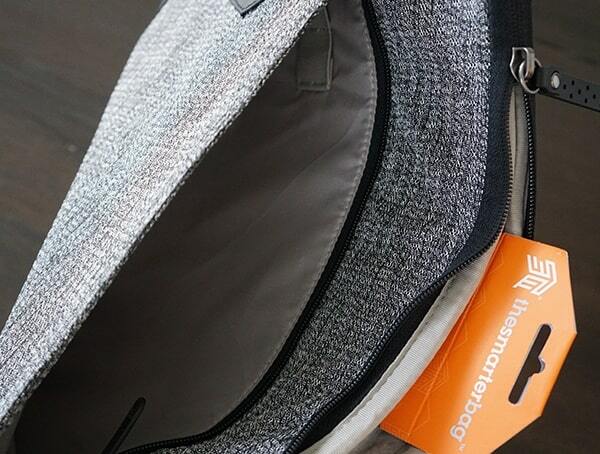 Realizing the world desperately needed bags that could protect digital gear while still looking fashion-forward, Ethan partnered up with Adina Jacobs and got to work on STM. 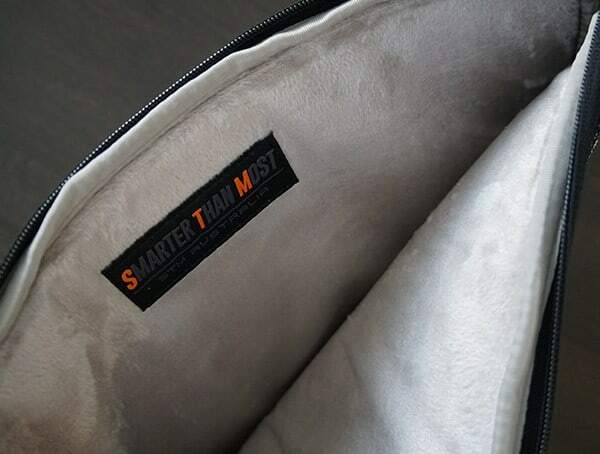 Now, if you’re wondering what STM stands for the answer is rather simple: Smarter than most. 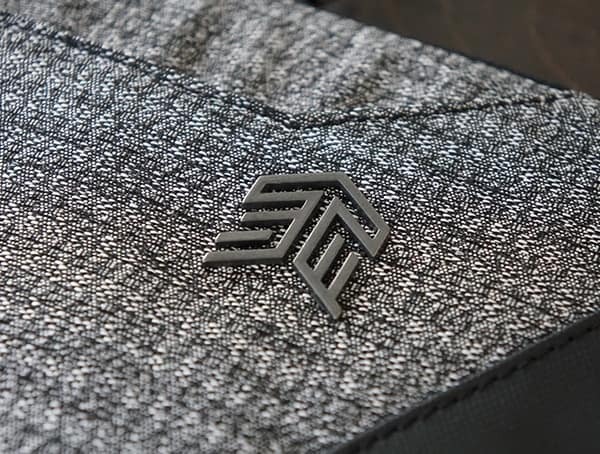 The statement holds true across the entire collection of STM gear; from the intelligent material section to the brilliant functionality, and beyond. 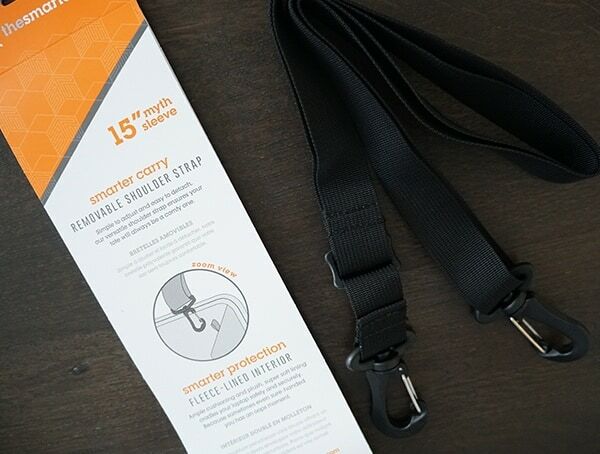 Today the Australian technical goods company offers everyday essential device protection across 30 plus countries. 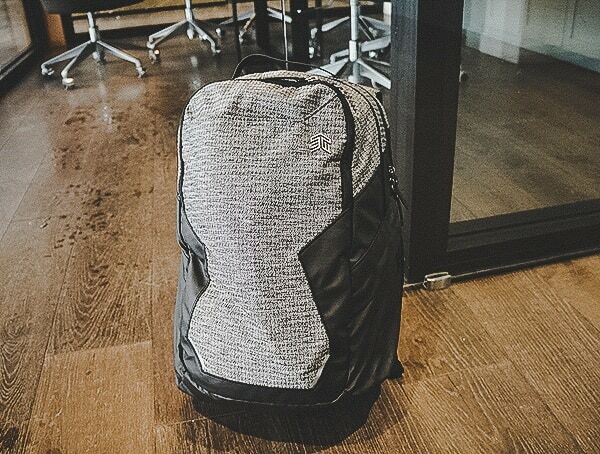 Recently I had a chance to try out a few pieces from the latest and greatest Myth collection. 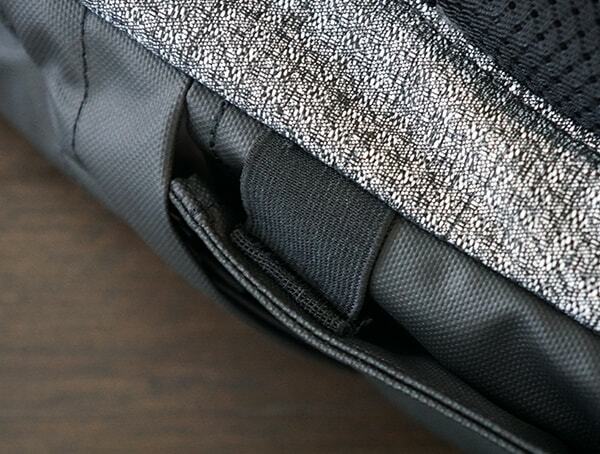 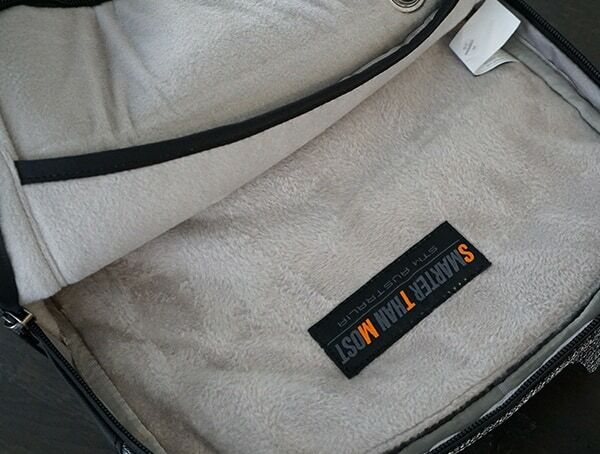 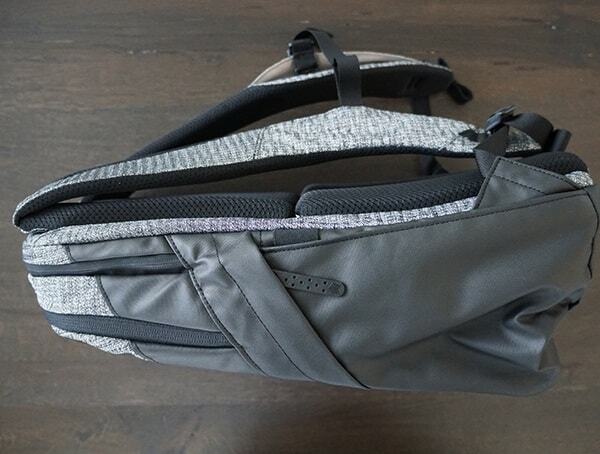 Below, you’ll find my STM Goods Myth 15-inch laptop sleeve and 28L backpack review. 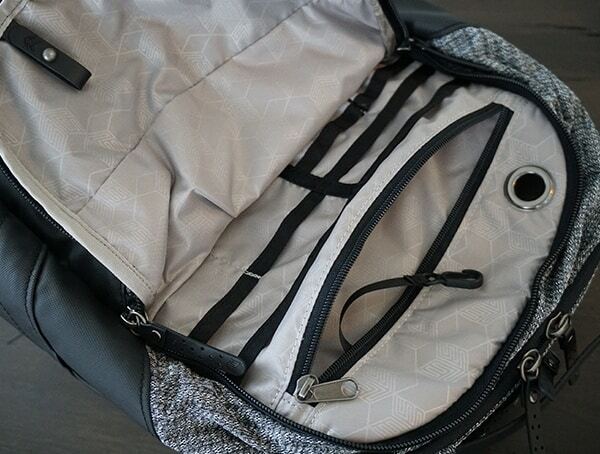 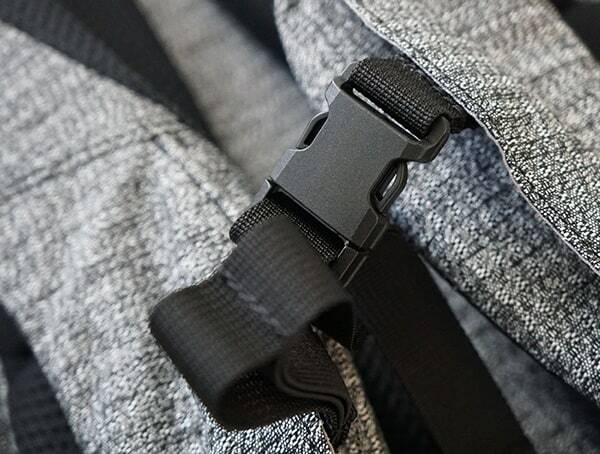 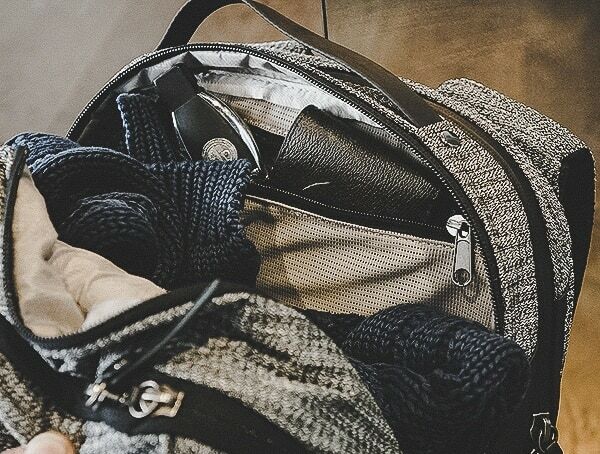 With a 28L capacity, the STM Myth backpack will fit everything from your favorite jacket to 15” laptop, charger, cables, on-the-go snacks, and beyond. 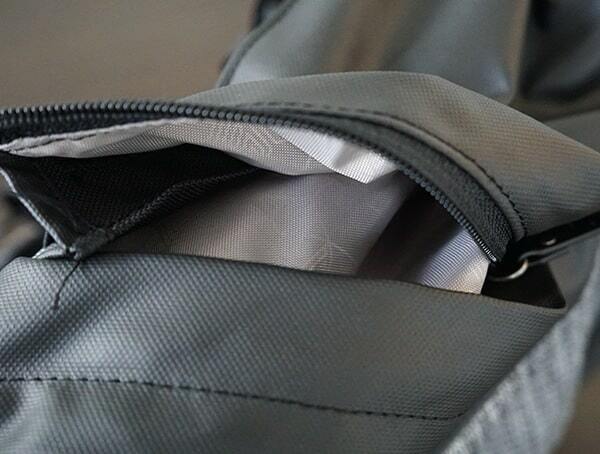 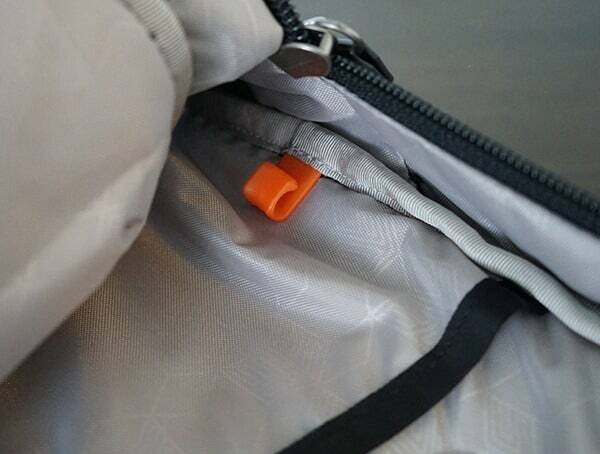 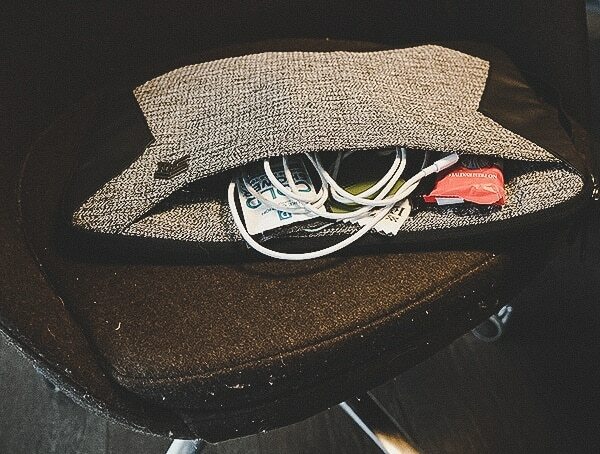 And with multiple pockets, staying organized couldn’t be any easier. 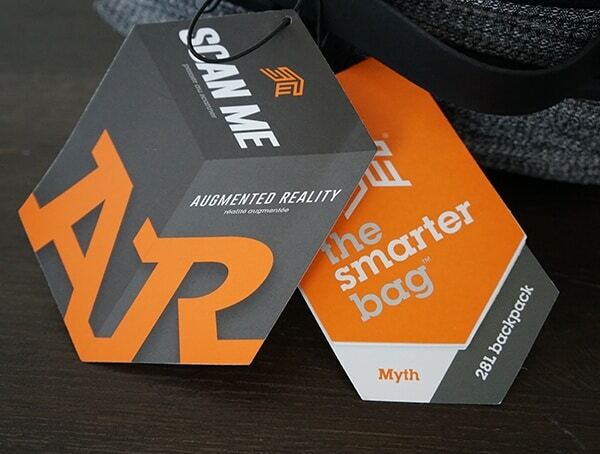 Before sliding on the pack in person, I noticed STM had a unique Integrated Augmented Reality technology option. 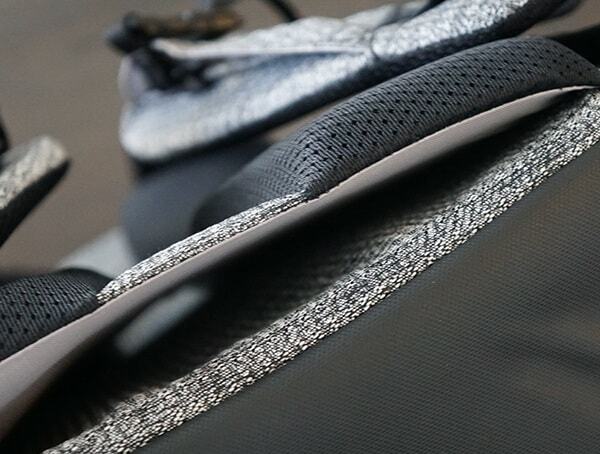 Using modern tech you can try on the pack before you take it home. 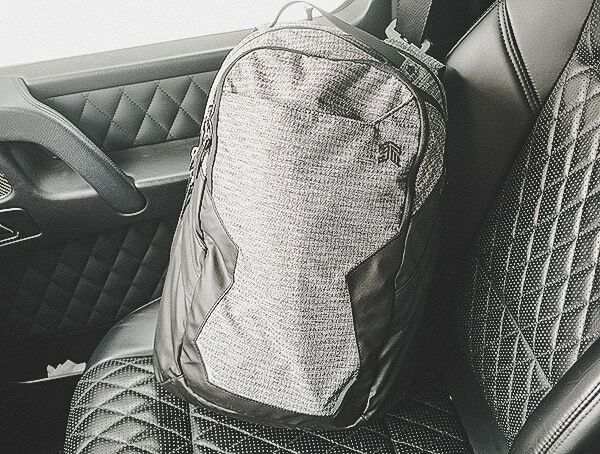 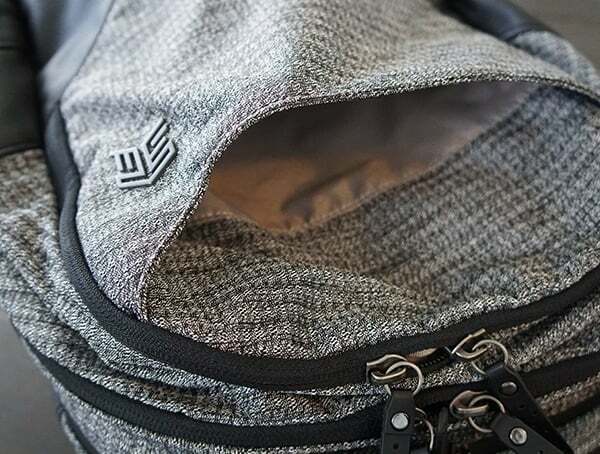 When it comes to features, the STM Myth Backpack is packed with them. 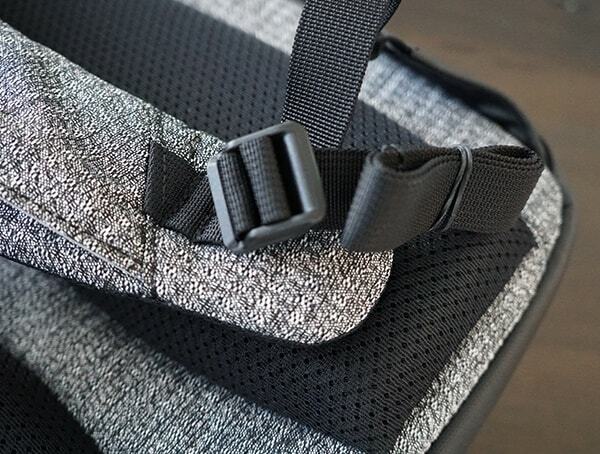 From the proprietary SlingTech for added padding and gapless corners to the PassPort luggage system, there’s a lot to love. 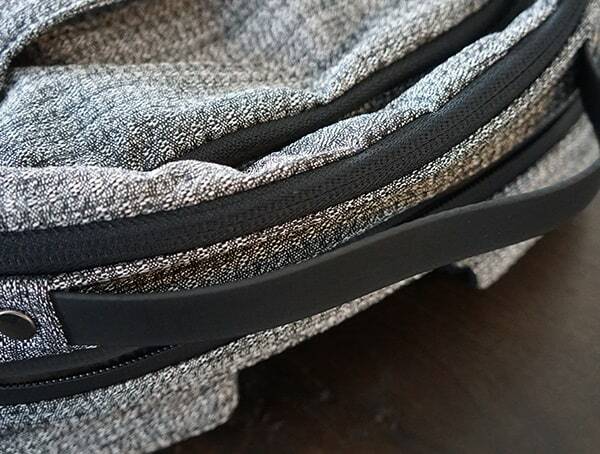 The CableReady system is something I’ve yet to see in another pack out there. 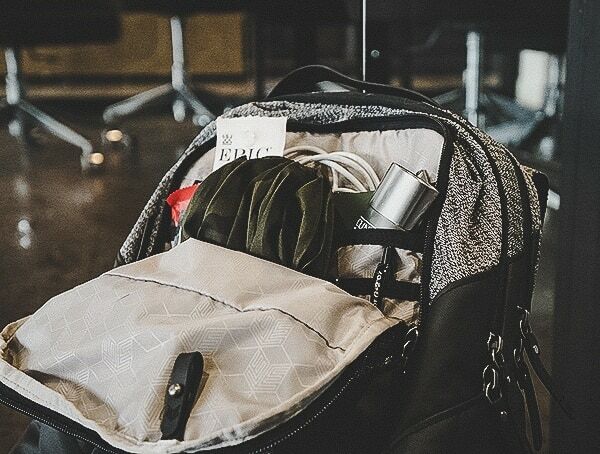 It allows you to charge your accessories without having to deal without having to shift through vines of unsightly cords. 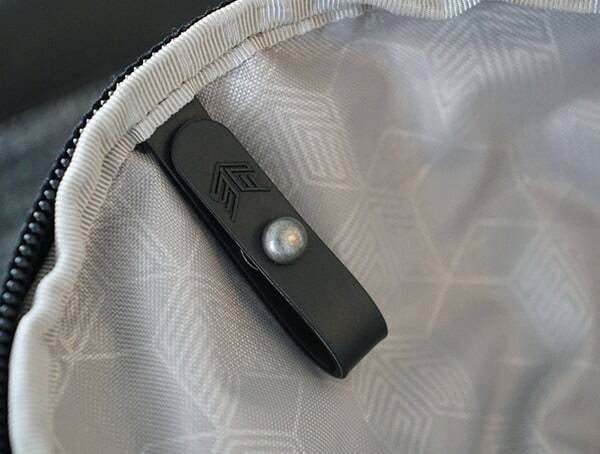 For additional storage, the STM Myth 28L Backpack also comes with an AirPod pocket for your wireless headphones and a fleece-lined sunglass compartment. 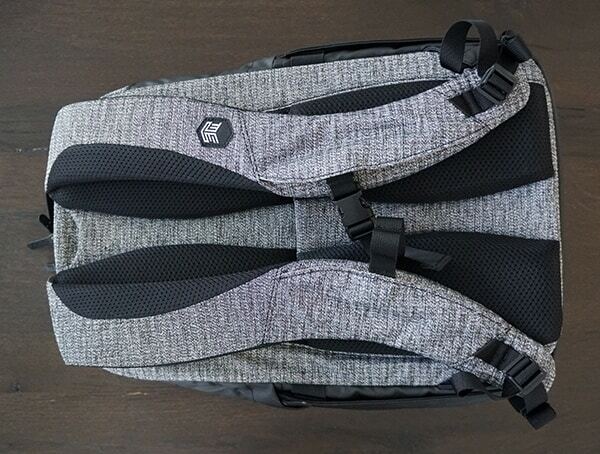 If you’re looking for a pack with a smaller profile, you can always opt to go with the smaller 18L version instead. 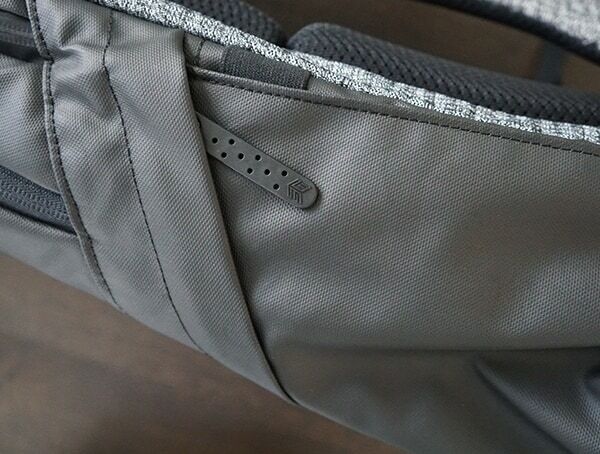 Like the Myth laptop sleeve, the Myth backpack also features a water-repellent construction thanks to a C6 DWR fabric coating. 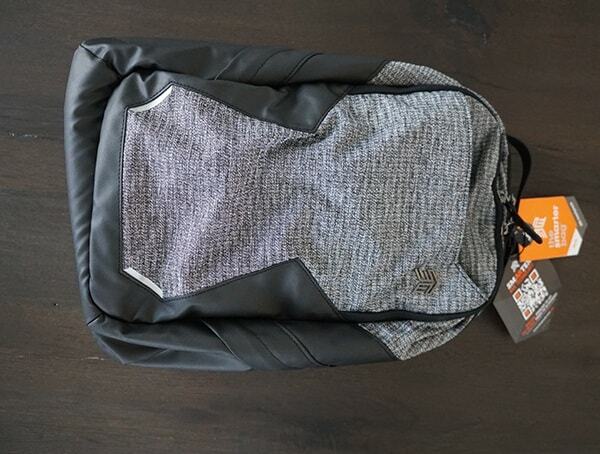 Aside from keeping your gear comfortably dry, the Myth backpack is terrific on the back thanks to the integrated air channel back panels. 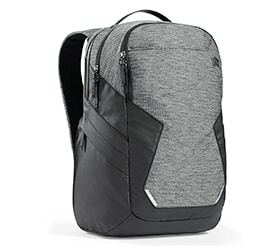 Add in the reverse coil zippers, and you’ve got one well-built travel pack that’s ready for everything from the office to the outdoors. 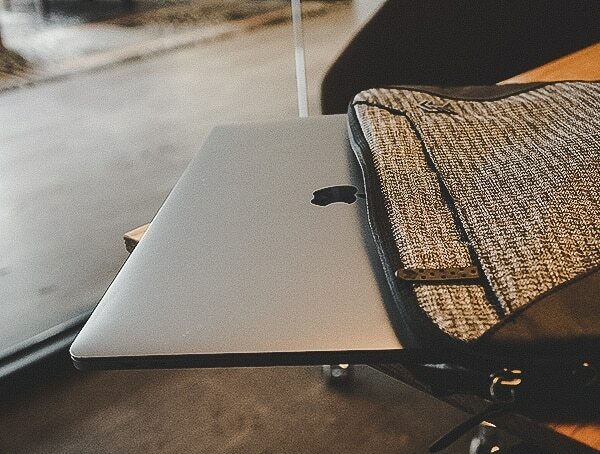 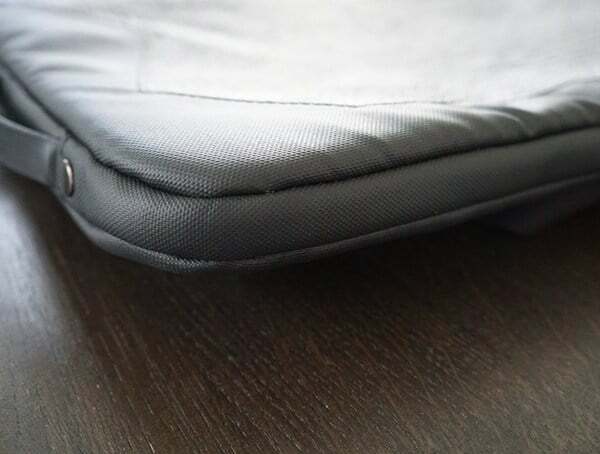 At just 0.77lbs, the STM Myth 15 laptop sleeve weighs next to nothing yet, the level of protection is top notch. 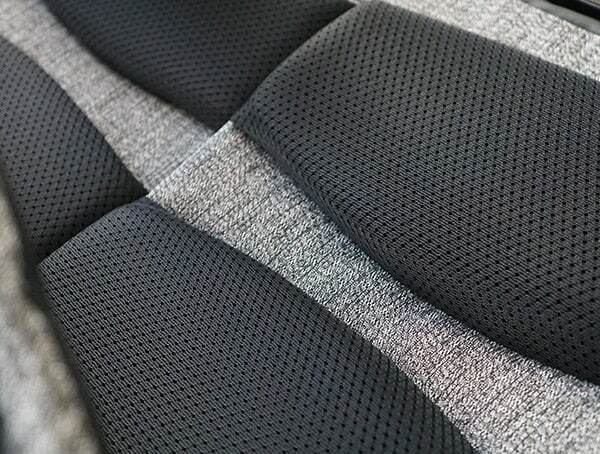 Available in 13 and 15-inch options, regardless of which you choose both feature an environmentally-friendly, perfluorooctanoic acid-free DWR C6 coating. 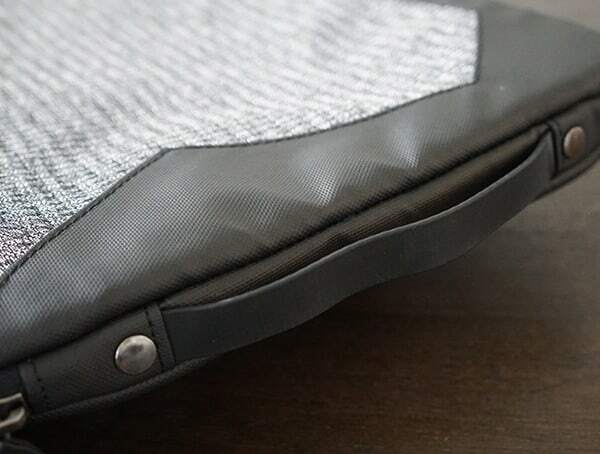 Additionally, you’ll find a double polyurethane coating for a superior water-repellent construction. 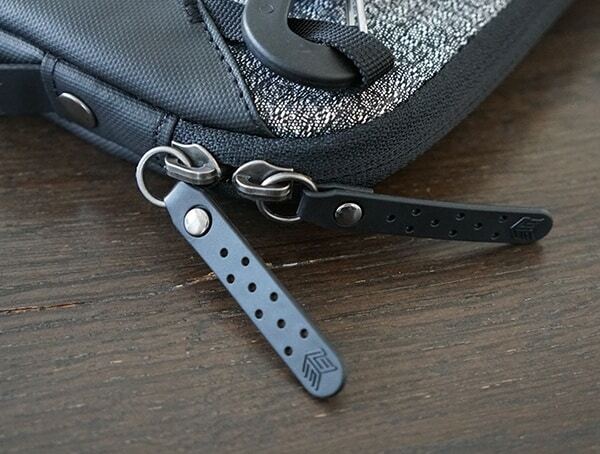 On the exterior, TPU coated webbing handles feature durable rivets with a soft touch to the hand. 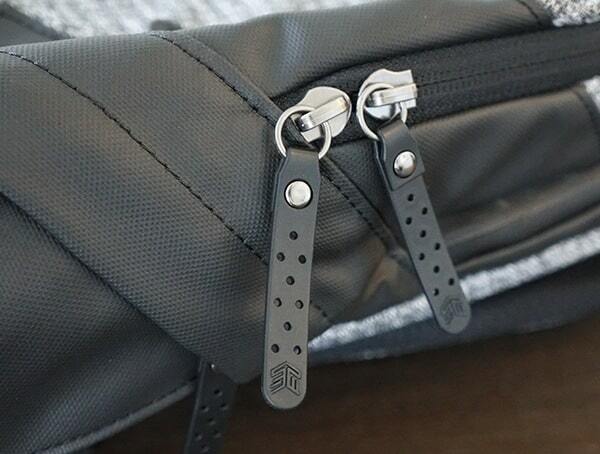 Leather accented zipper pulls offer a touch of luxury, while the detachable shoulder strap provides added convenience. 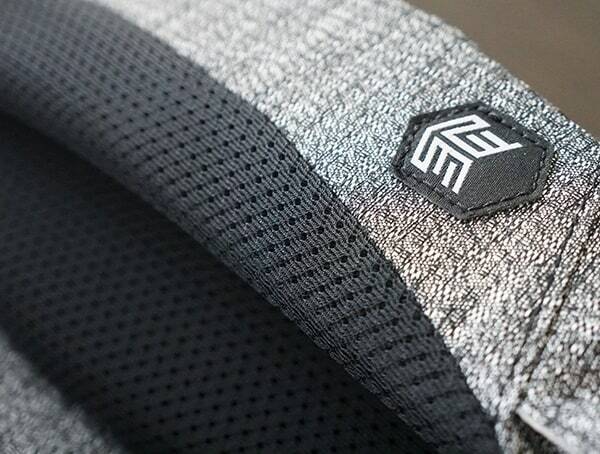 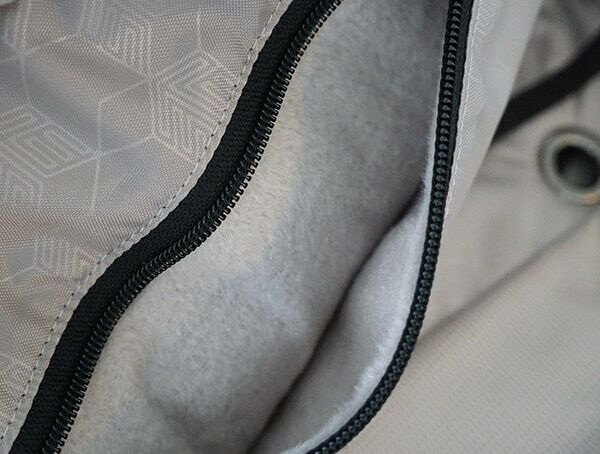 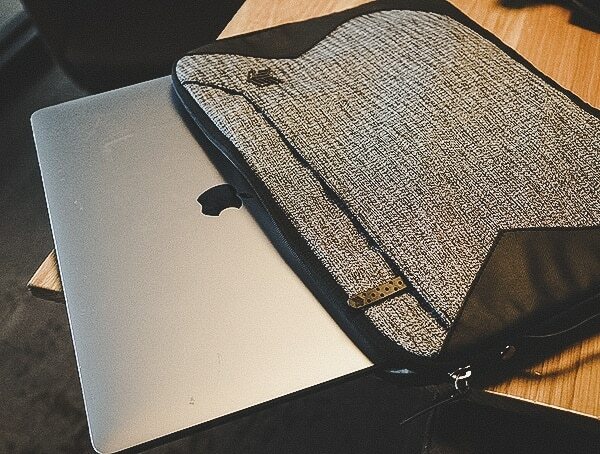 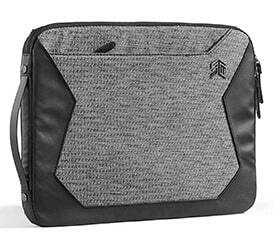 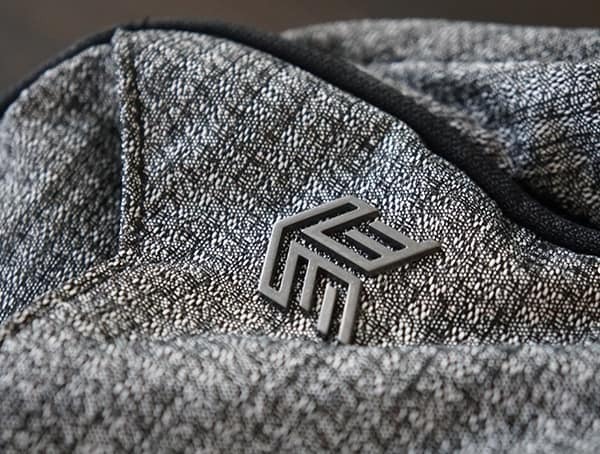 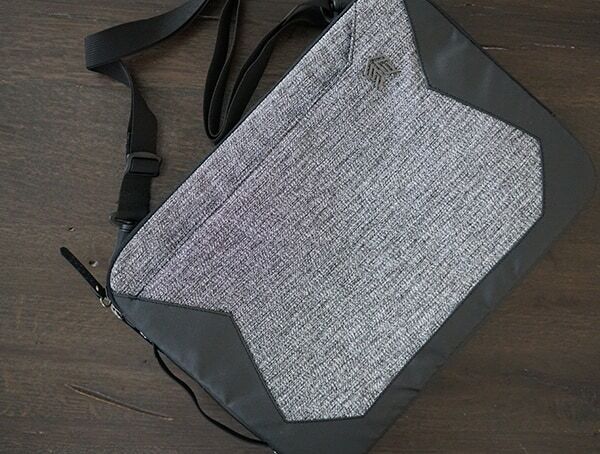 At the heart of it all, you’ll find an incredibly soft, protective fleece-lined laptop compartment. 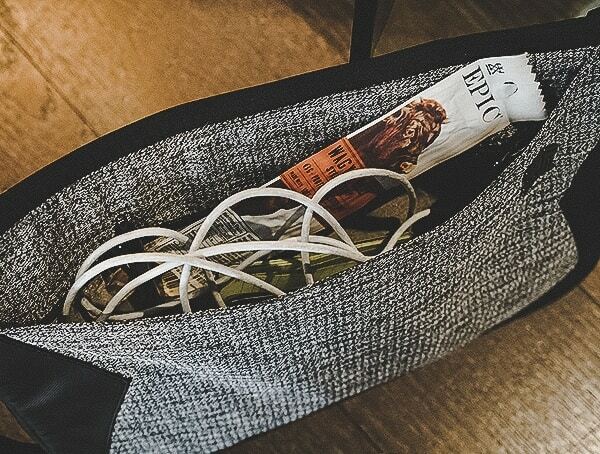 In front of the compartment, a zippered pocket easily stores everything from cables to chargers, notepads, writing utensils and beyond. 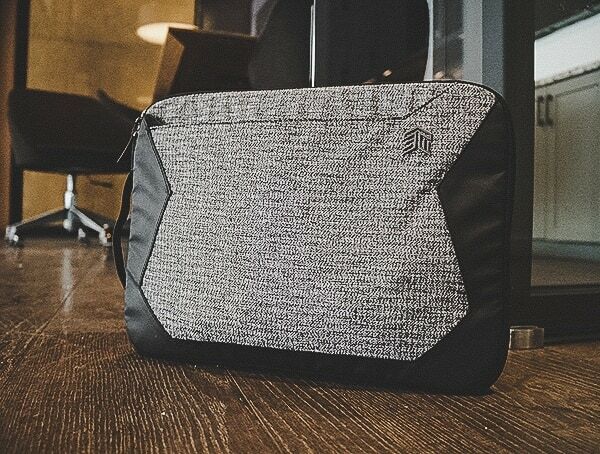 To keep your precious cargo well-protected, the STM Myth 15 laptop sleeve also comes with a unique 360-degree, 6mm padding around the edges. 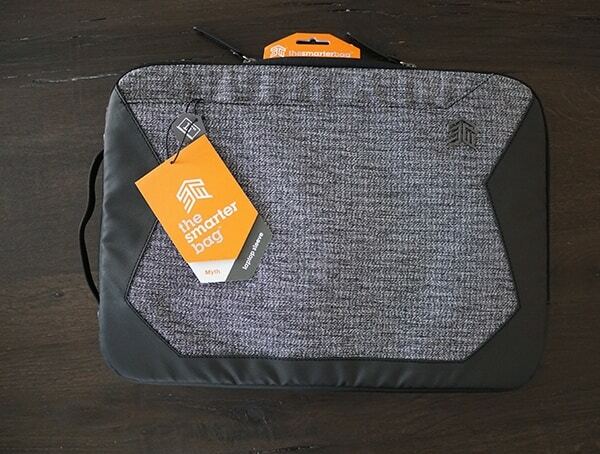 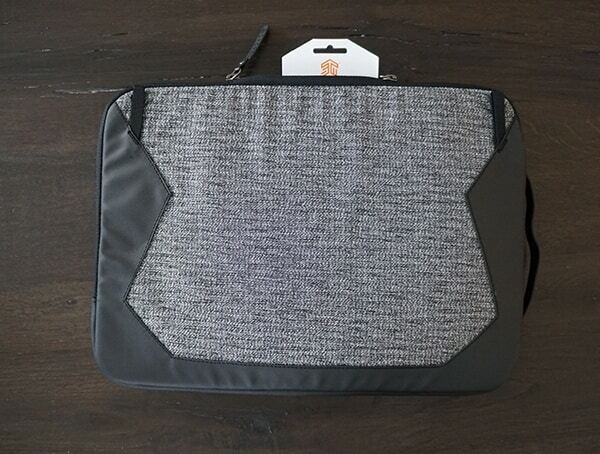 For those moments when your laptop sleeve manages to slip out of your hands accidentally, the added peace of mind is a nice addition.